Visco-supplementation was first used in Europe and Asia, and was approved by the U.S. Food and Drug Administration in 1997. Several preparations of hyaluronic acid are now commercially available. 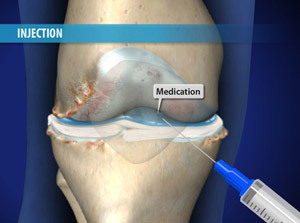 This nonsurgical procedure is an injection of a gel-like medication into the knee joint to supplement or replace the thick synovial fluid that cushions the joint. This treatment helps to lubricate the knee and allows it to bend more smoothly. The Visco-supplementation treatment can help reduce the pain of arthritis. 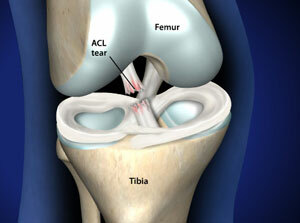 Osteoarthritis of the knee is one of the leading causes of disability in the United States. It develops slowly and the pain it causes worsens over time. Although there is no cure for osteoarthritis, there are many treatment options available to help people manage pain and stay active. Another treatment option is a procedure called viscosupplementation. If you have tried all other nonsurgical treatment methods and your pain continues to limit your activities, viscosupplementation may be an option. Viscosupplementation can be helpful for people whose arthritis has not responded to basic treatments. It is most effective if the arthritis is in its early stages (mild to moderate). Some patients may feel pain at the injection site, and occasionally the injections result in increased swelling. It may take several weeks to notice an improvement after viscosupplementation. Not all patients will have relief of pain. Rarely, patients may develop a local allergy-like reaction in the knee. 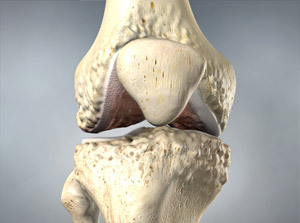 In these cases, the knee may become full of fluid, red, warm, and painful. If this occurs, contact your doctor immediately. Infection and bleeding are also very rare complications of this procedure. As is noted above, some patients will not be helped by viscosupplementation. For those who report pain relief with the procedure, it may take several weeks to notice an improvement. How long the effects last varies. Some patients report pain relieving effects for several months following the injections. If the injections are effective they may be repeated after a period of time, usually 6 months. Although some patients report relief of arthritis symptoms with viscosupplementation, the procedure has never been shown to reverse the arthritic process or re-grow cartilage. The effectiveness of viscosupplementation in treating arthritis is not clear. It has been proposed that viscosupplementation is most effective if the arthritis is in its early stages (mild to moderate), but more research is needed to support this. Research in viscosupplementation and its long-term effects continues. Contact the office of Dr. Darren Keiser to learn more about this procedure.